The sheet is fully soaked with concentrated serum and infused with 3 types of plant stem cells: Edelwisse from the Italian Alps, Sea Holly and Criste Marine from the Brittany Coast. Will plant stems cells transform into human stem cells ? Definitely not because that's not what plant stem cells do, they will provide antioxidants to your skin to fight free radicals before they will make a number on your skin and give you wrinkles and dark spots. In other words they will nourish, protect and restore your skin cells and help you maintain a youthful appearance for a longer time. The mask will drench your skin in deep hydration, my skin looked more firm after 1 application and also more supple, and it blessed me with a beautiful glow. This is a perfect sheet mask to use after sun exposure, when you skin suffers from dullness and stress or after a long flight. 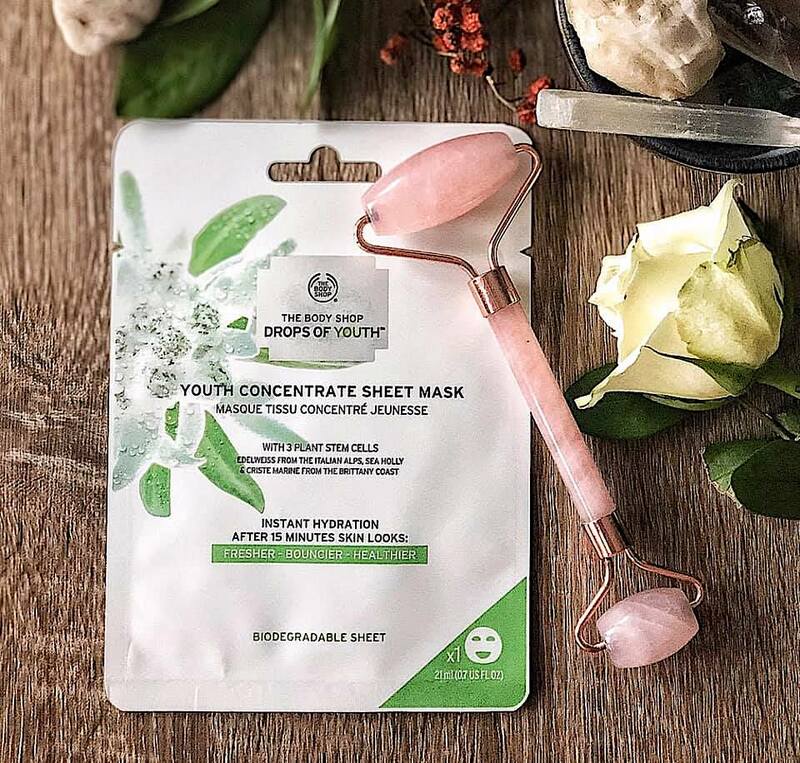 The concentrated serum in the sheet mask will provide you lots of skin care benefits and an instant beauty boost while the fiber layer of the sheet mask will ensure that all the serum doesn't evaporate from your skin but sink in and gets absorbed.You can also use a crystal (rose or jade ) face roller to push even more all the concentrated essence from the fiber mask in your skin. I've done that and the results are even better because your also giving a gentle skin massage to your face, stimulating your blood circulation. 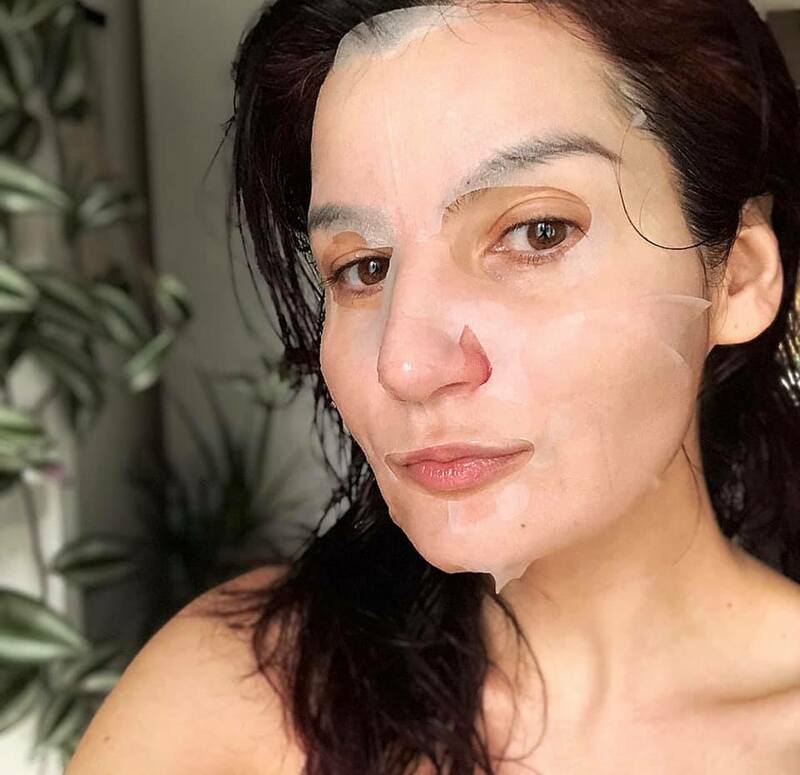 After 20 minutes of having this mask on my face, my skin felt looked insanely soft, plumped, more healthy (calms redness ) and intensely hydrated. This product is not only biodegradable but also 100% vegan and cruelty free. 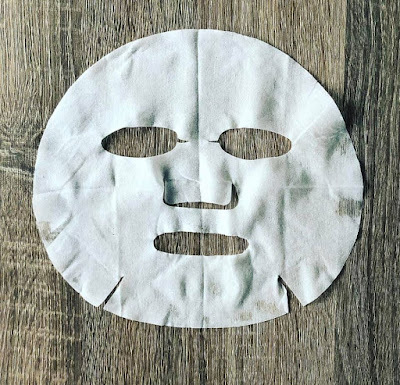 How often do you treat yourself to a facial mask ? What is your favourite sheet mask ?